When people talk about the greatest players and athletes to come out of Buffalo, it’s not too far into the conversation that Curtis Aiken’s name gets mentioned. Curtis was a basketball standout at Buffalo’s Bennett High School. He earned All-WNY honors in his junior and senior years, and was named the WNY Player of the Year for his 1982-83 season. He scored 924 points that campaign, including a single game 65-point performance, which ranks 9th in New York State public high school history. He also added 44 in a 105-102 win over Romeo McKinney’s outstanding South Park squad that year. That season’s total is second all-time in WNY, and fourth in New York State public schools. Aiken ranks seventh all-time in WNY with 2,162 points, and it should be noted that his points were all tallied before the introduction of the 3-point line. Aiken’s success continued in his college career at the University of Pittsburgh. He played guard for the Panthers from 1983-87 and is considered a legend in the steel city. As a recruit, he was Pitt’s first McDonald’s High School All-American, and his numbers speak for themselves. With 1,200 career points, Aiken ranks 21st on Pitt’s all-time scoring list. He ranks 8th among school leaders in assists with 378, and 12th in steals with 155. He tied the school’s record with seven steals in a 1985 game against Syracuse. His performance on the court led to a number of accolades for Aiken throughout his career. He was named one of the top three seniors in the Big East prior to his senior season by Eastern Basketball, and was the Big East Player of the Week later that season. During his junior year, both Sports Illustrated and The Sporting News named Curtis the Player of the Week during the first week of January. As a key recruit, he helped pave the way for Pitt’s entry into the Big East, and in his senior year, he captained Pitt’s Big East regular season championship team on its way to a 25-8 overall finish and a 12-4 conference mark. Aiken is the founder and CEO of Pro Tech Compliance, Inc., a technology and services company in Pittsburgh. 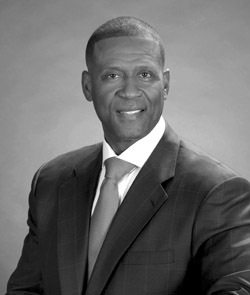 He is an avid supporter of several community groups in the Pittsburgh region and currently serves on the boards of organizations such as the Urban League of Greater Pittsburgh, the YMCA Metro Board, the Juvenile Diabetes Fund, the Intergovernmental Cooperation Authority (ICA) Board – which oversees the city’s finances, and the University of Pittsburgh Cancer Institute. Professionally, he is still in the game, working as an analyst for Pitt basketball radio broadcasts.